Evelin is a German trained, and German and Australian registered pharmacist with extensive practical knowledge in complementary medicines (CMs). 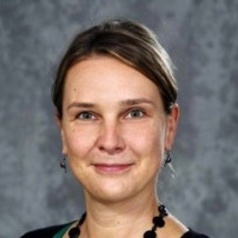 She is a chief investigator in several clinical, practice and laboratory based CM research projects funded through the Pharmacy Guild of Australia, the National Institute of Complementary Medicine, the CM industry and the NHMRC. These projects focus on the integration of CMs into pharmacy practice, CM education for health professionals and students, the efficacy and safety of herbal medicines, as well as investigations into the pharmacological effects of Australian mushrooms and medicinal plants. She has received approximately $1,190,000 in internal and external research funding either as a CI or AI and has published over 30 peer-reviewed articles, one patent and several book chapters. Evelin has been instrumental to the establishment of integrated CM education for Griffith’s pharmacy students for which she received two Griffith teaching awards. She has given oral presentations and invited lectures at national and international conferences, industry meetings and served on the ICMAN5 organising committee. Evelin has presented continuous professional development seminars on CMs to pharmacists and is the convenor of a “Short Course in Integrative Medicine for Pharmacists” which provides pharmacists with additional evidence-based CM knowledge.